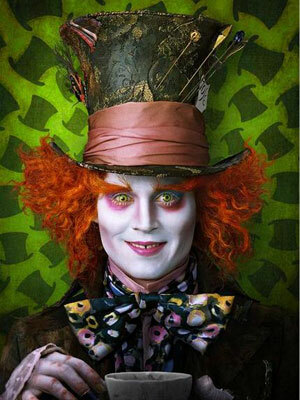 I remember when I first saw this picture of Johnny Depp as the Mad Hatter, and I can tell you that I honestly did not recognise him, his make up is that incredible. But, the make up intrigues me, because whilst I get the crazy hat, outfit and the bizarre hair that fit perfectly in with the character eccentricities, the make up seems a little more questionable, as I'm not really sure what it's attempting to achieve. Are they trying to make him look like a clown? I'm not sure. 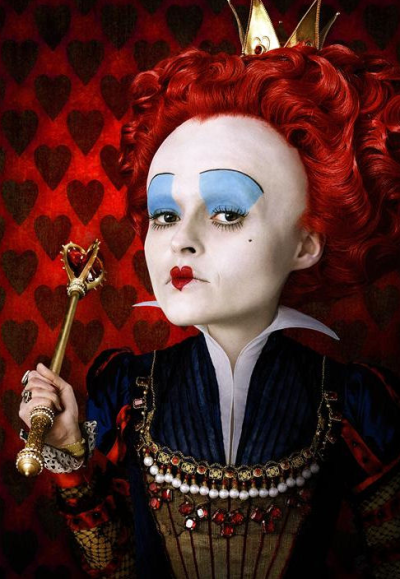 I love and hate Helena Bonham Carter's Queen of Hearts. I hate it, because it's such an awful look, but I love it because it is such an inspired look. The look plays on the characters obsession with appearances. But, she looks so scary, I can imagine she gives small children nightmares!! 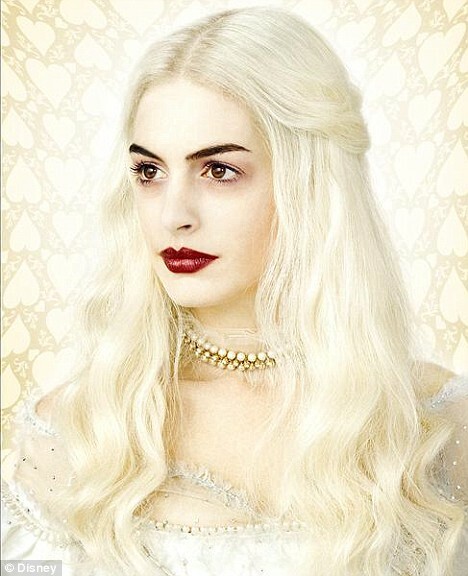 There's something quite pure about Anne Hathaway's look. Pure but empowering. It's a very striking look with the strong eyebrows and bold lips completely contrasting against the blonde hair. I imagine that Hathaway's look is supposed to be nice and pure, but I can't help feeling that the intense eyebrows and lips make her look a tad scary and intimidating. This look is very representative of the era that the film is set in, which is incredibly important, even down to her pale skin. 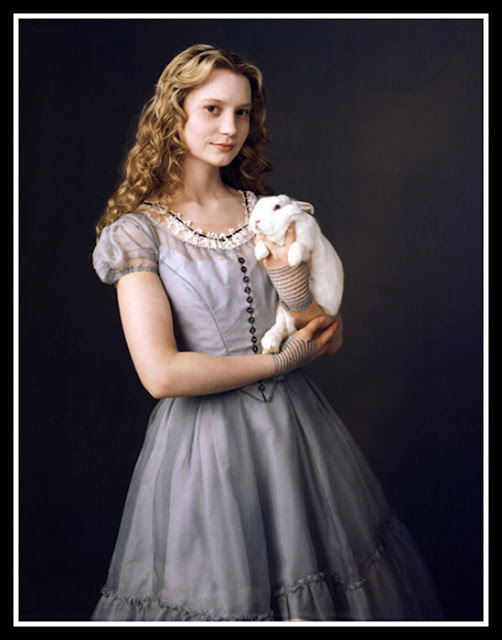 But, I love the simplicity of this look and think that it represents Alice's need to conform in the real world. There's something so much more empowering and confident about this outfit which represents Alice's growing confidence in herself and what she wants. What do you think of the make up and looks in Alice in Wonderland?